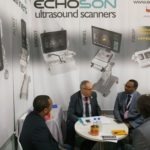 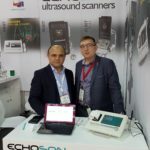 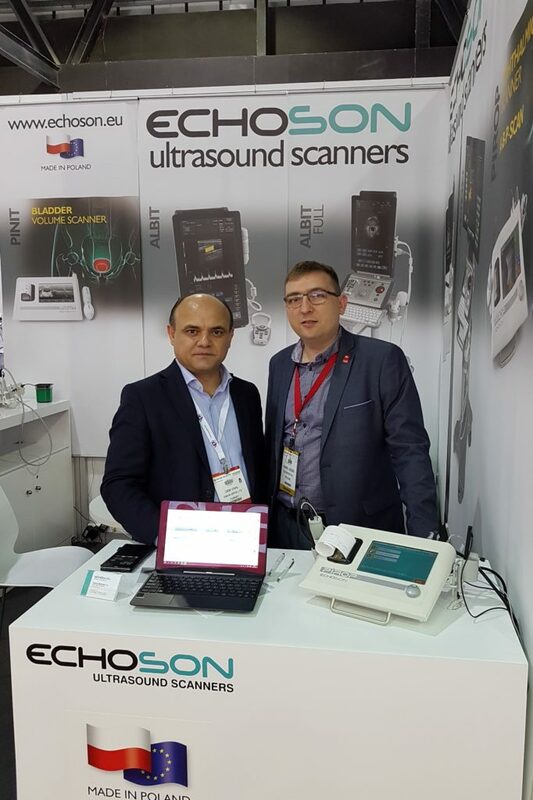 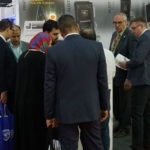 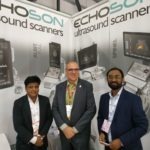 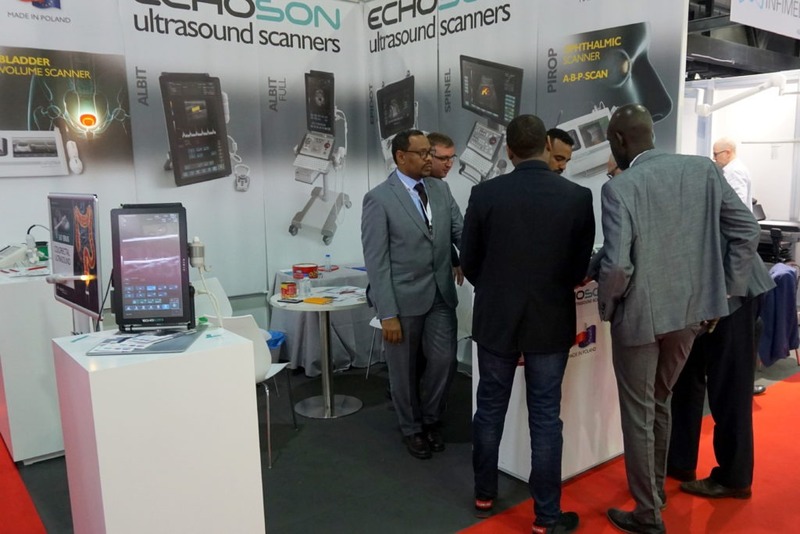 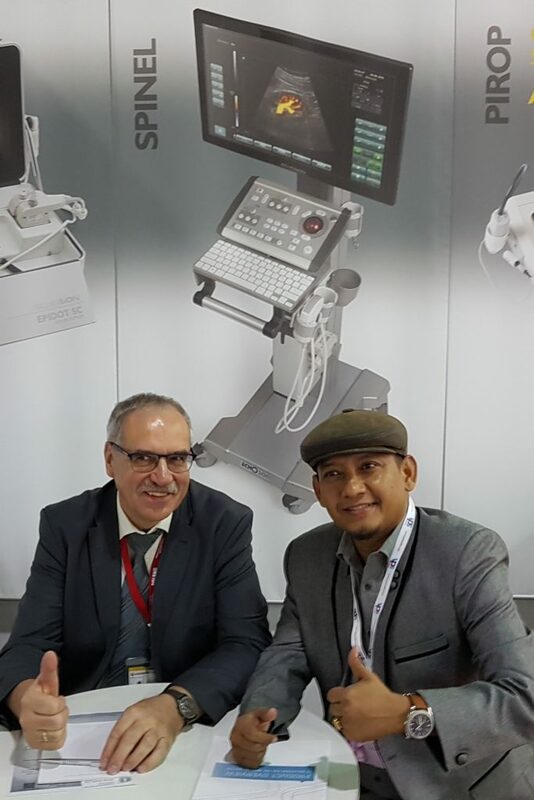 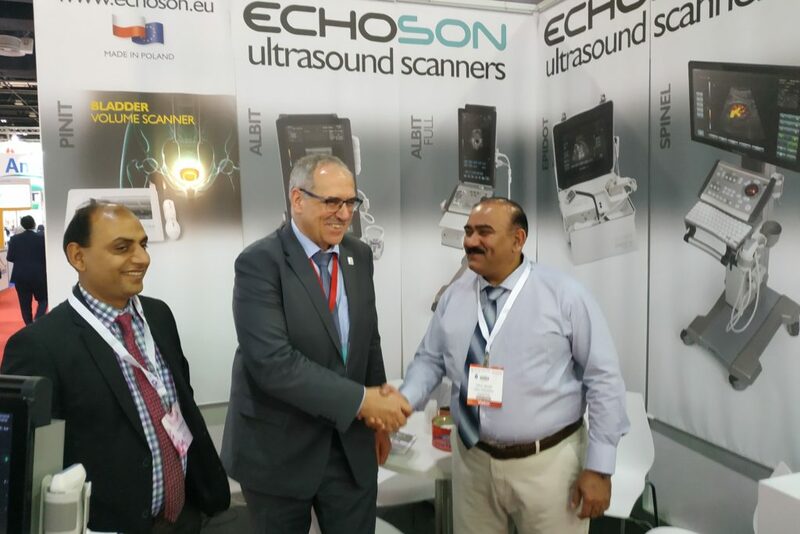 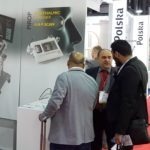 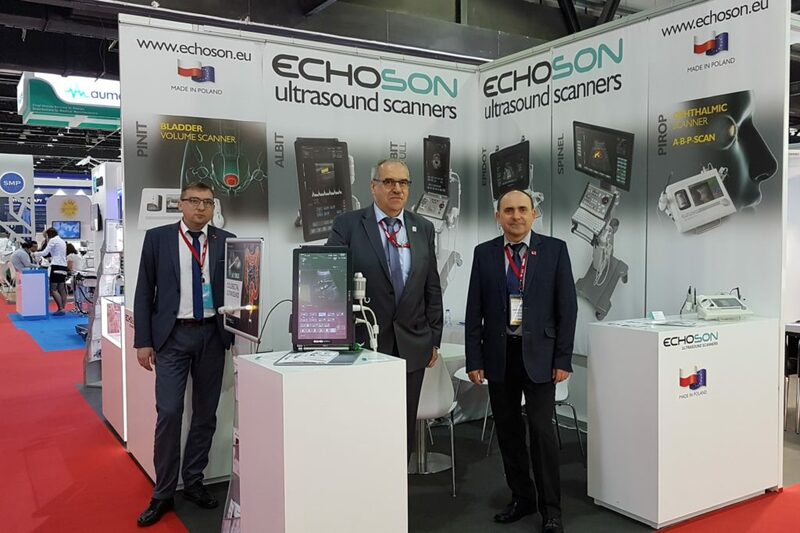 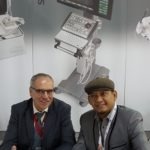 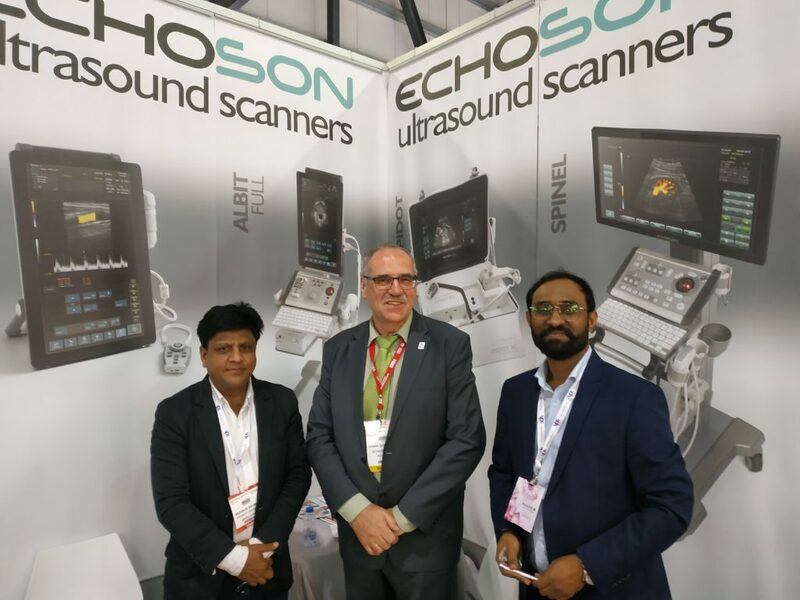 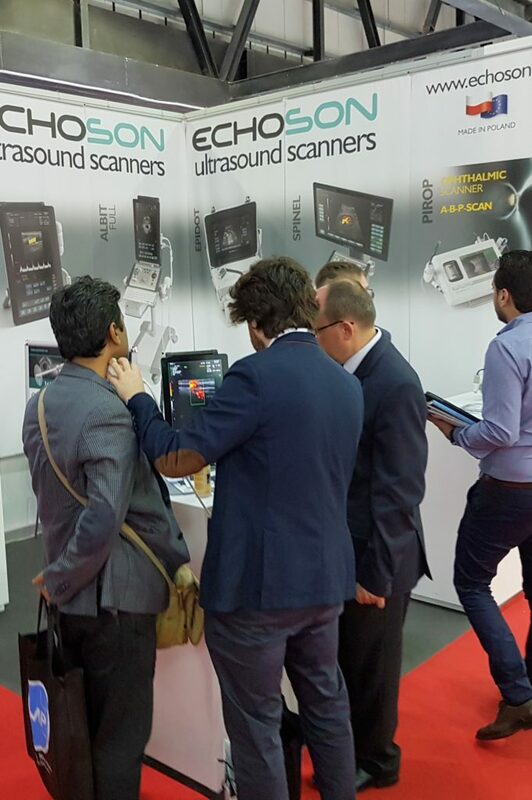 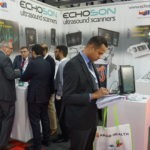 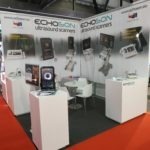 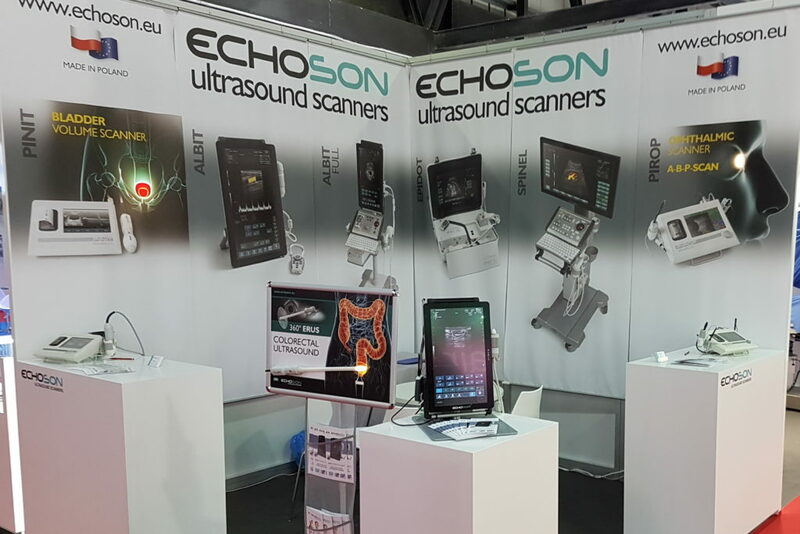 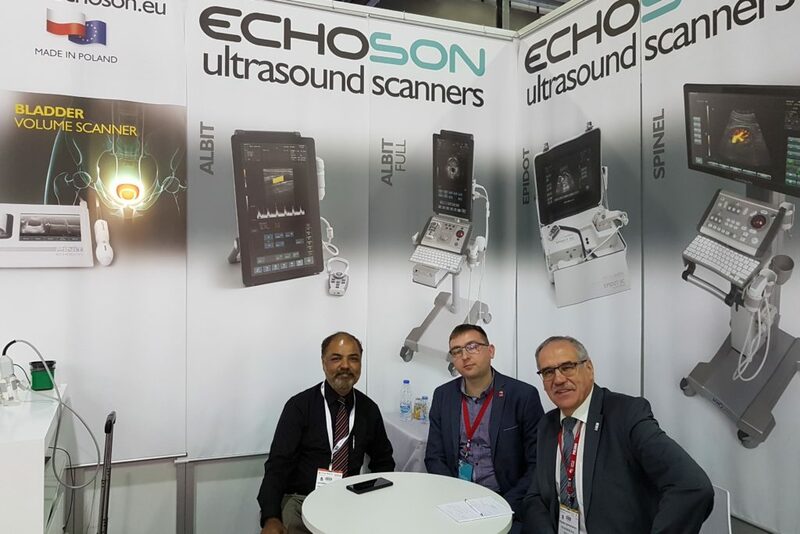 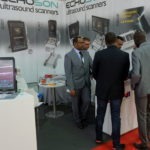 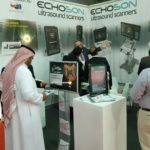 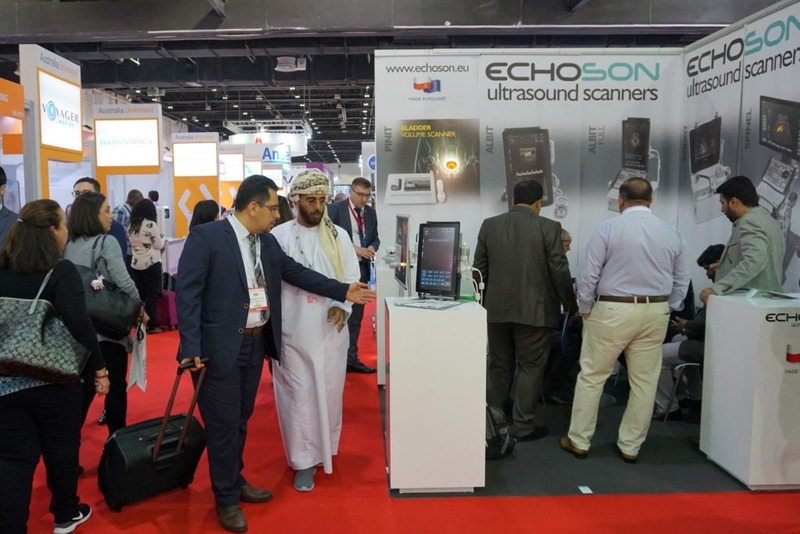 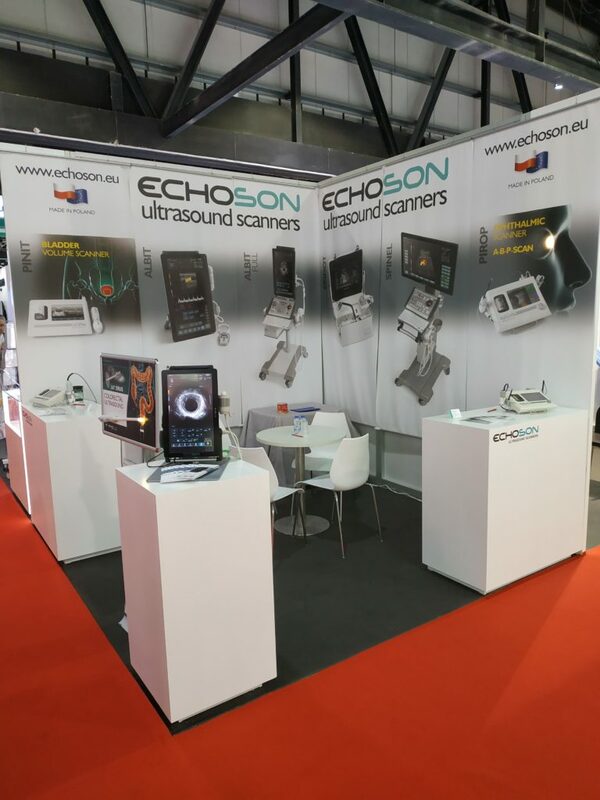 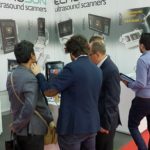 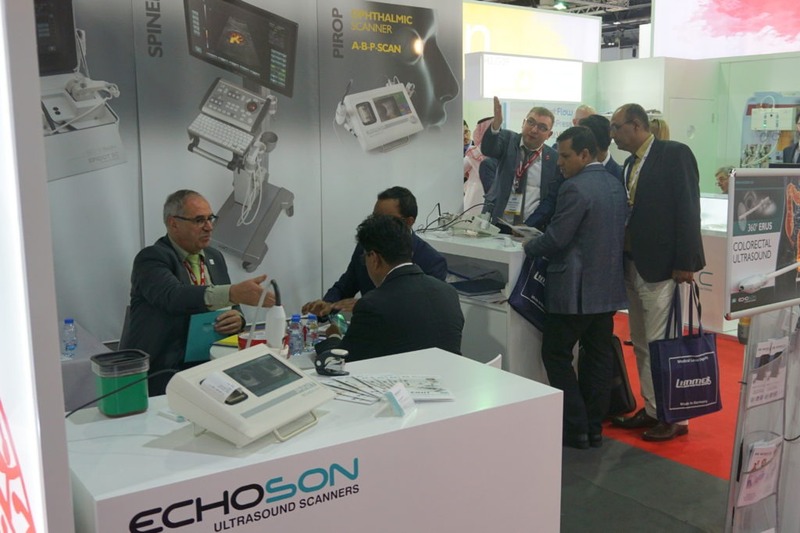 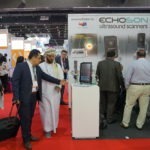 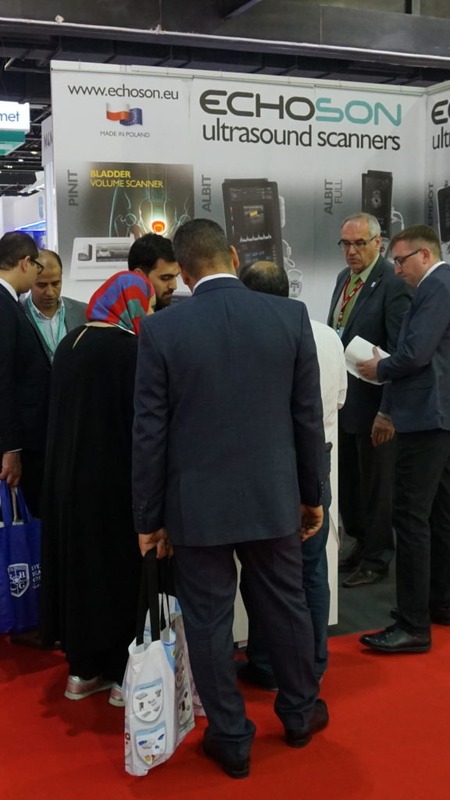 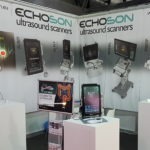 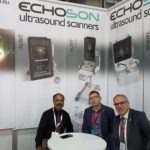 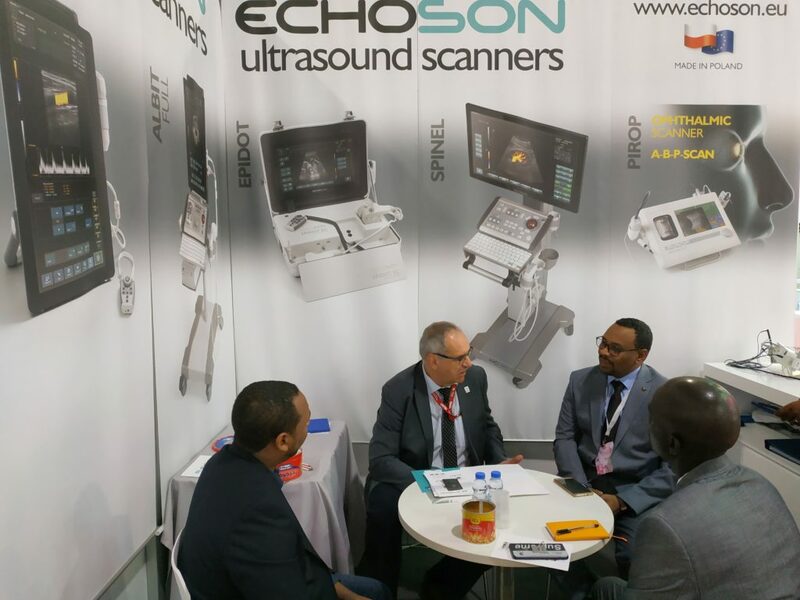 Photo Gallery ARAB HEALTH 2019 – Dubaj, UAE – ECHO-SON – manufacturer of high quality ultrasound scanners since 1993. 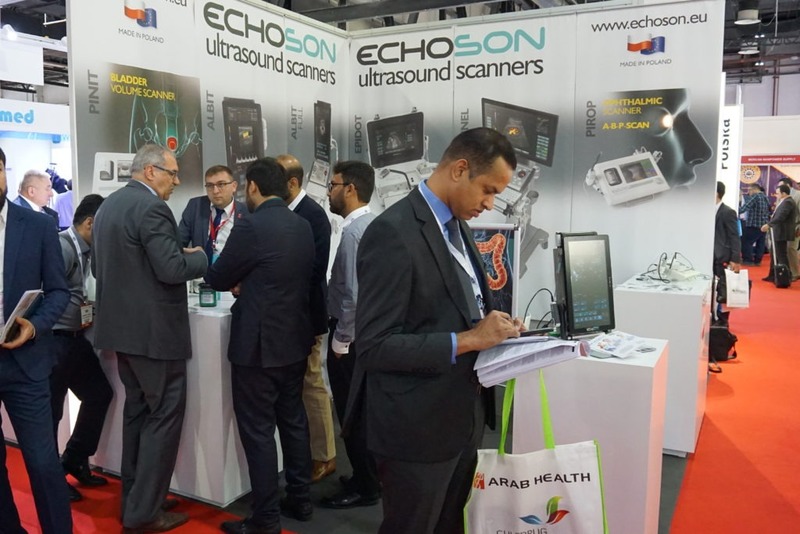 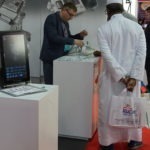 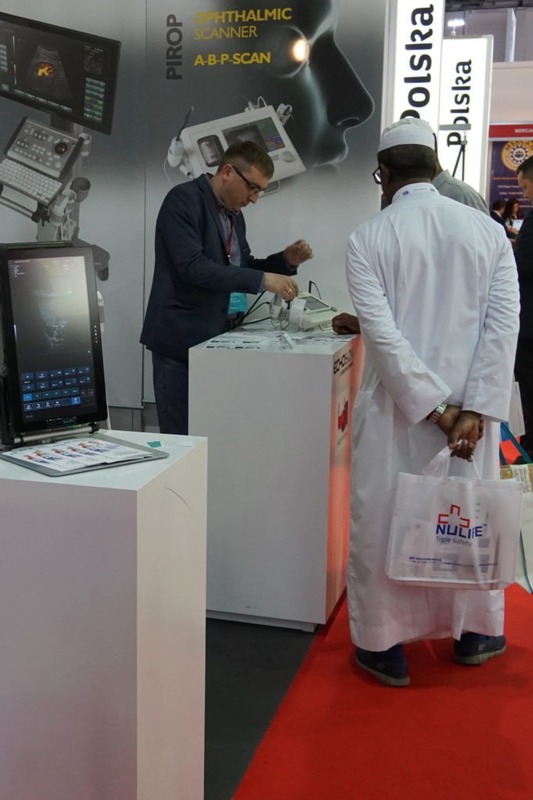 Arab Health – a healthcare conference and trade show, is a 4 day event took place from 28th to the 31th January 2019 at the International Convention & Exhibition Centre in Dubai, United Arab Emirates. 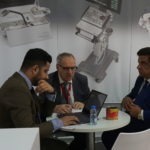 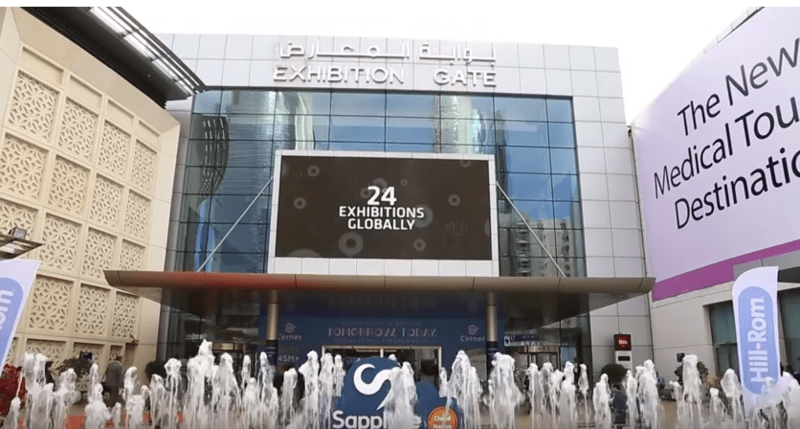 The rapid expansion of Arab Health as an exhibition and congress makes, that it is recognized as one of the most important global events on the healthcare calendar. 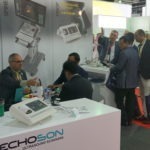 During the 2018 exhibition more than 4,150 companies (including 57 Polish companies) presented their latest innovations for healthcare professionals attending from over 160 countries. 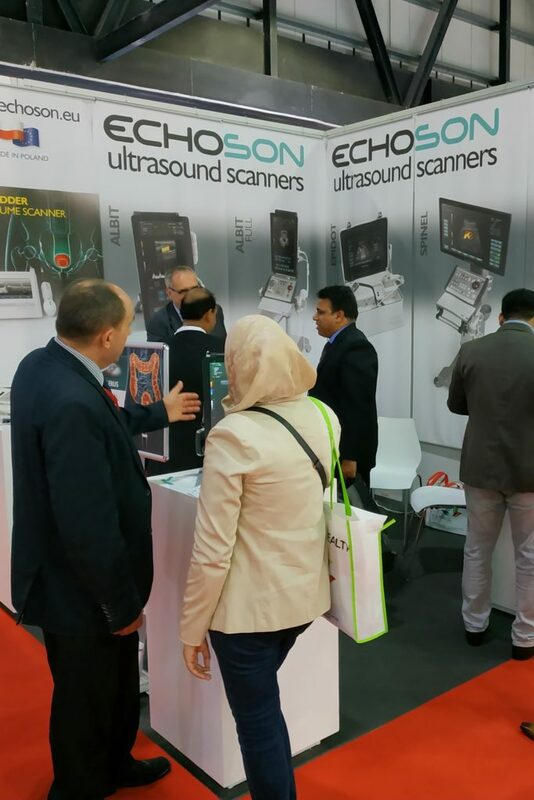 Our company already for the eleventh time took part in the exhibition Arab Health. 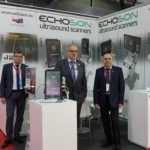 Stand Echo-Son (H38) was in the hall number 2. 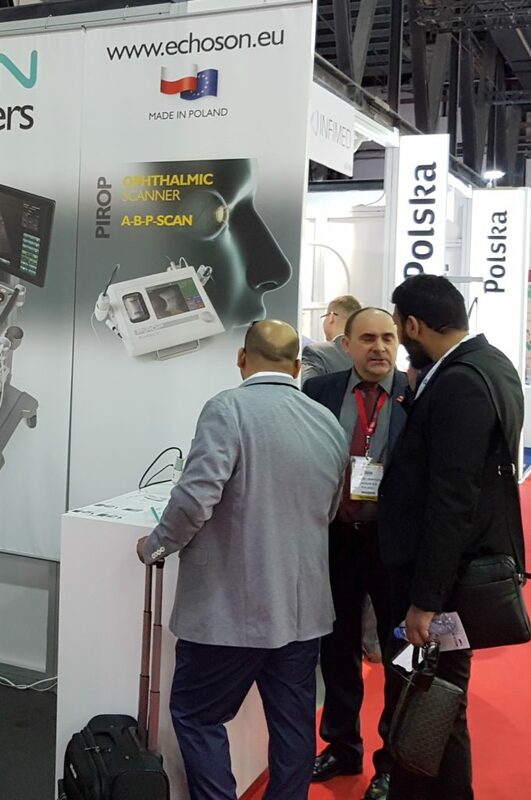 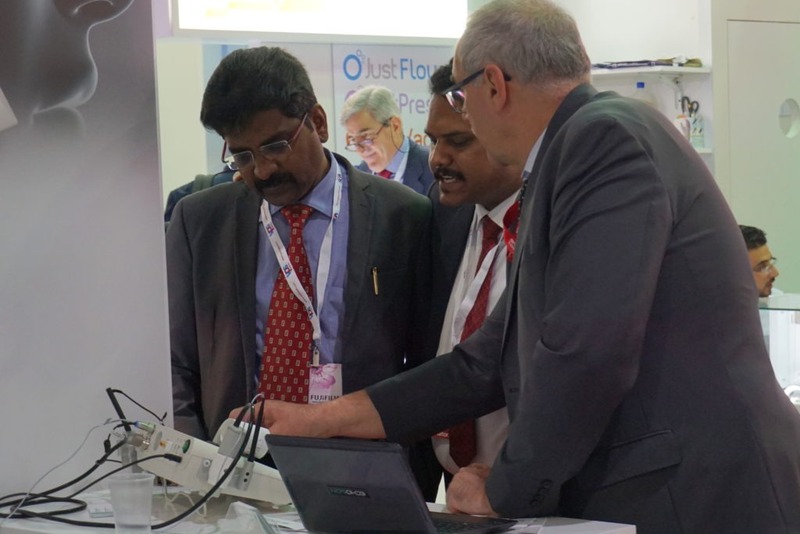 During the fair, we presented the ALBIT scanner, the PIROP ophthalmic scanner and the PINIT ultrasonic device for the automatic measurement of the bladder volume. 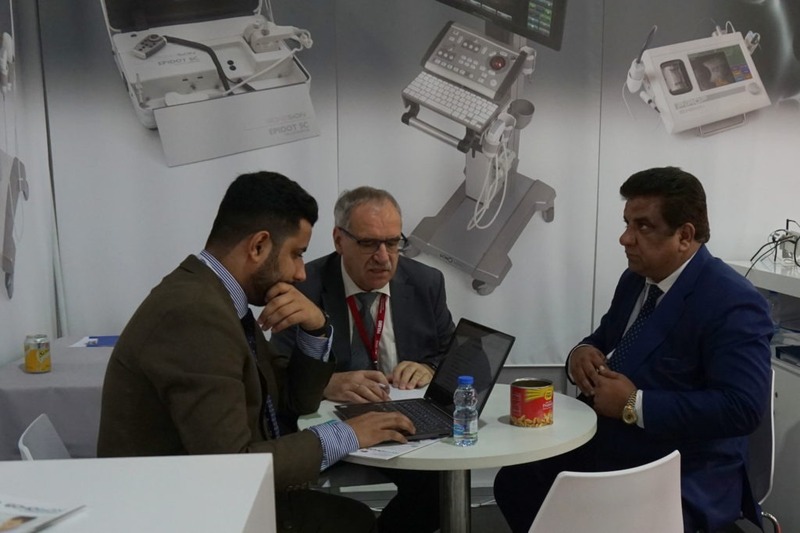 We also held talks with our current and potential partners from the Middle East as well as Asian and African countries. 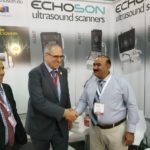 We were very pleased with many inspirational conversations. 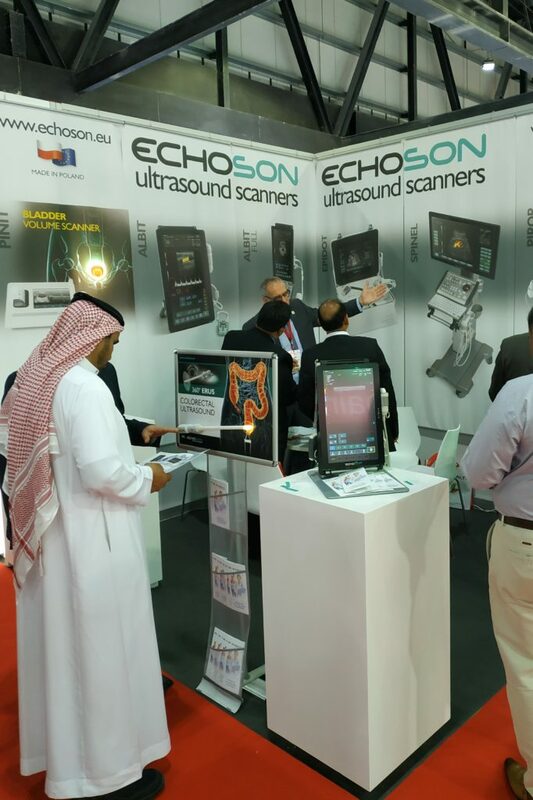 Thank you for visiting our booth at Arab Health in Dubai. 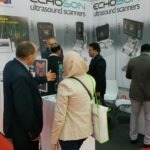 By the way, welcome to Arab Healt, 27-30 January 2020 – visit our booth and feel free to get familiar with our ultrasound devices !.